Pocket Bibles, also referred to as compact Bibles, are a perfect addition to anyone’s Bible collection. 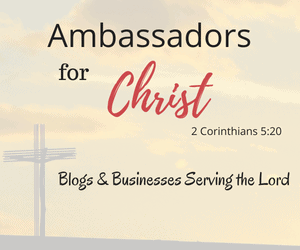 They are a great way to carry the Word of God with you everywhere, especially when you are traveling or on the go. I love keeping my NKJV pocket Bible in my purse so I can reference it anytime. A pocket size bible would make a great gift for any special occasion. My daughters love having different size Bibles. They use their large study Bibles when they go to church and when they are studying the scriptures. They take their pocket size Bibles with them to Bible study and youth group because they can easily fit them into their purses. Pocket Bibles can also be very stylish. I’m more of a plain person but my girls love different colored Bibles and stylish Bibles. It’s so exciting that Bible publishers are making such fashionable Bibles now. 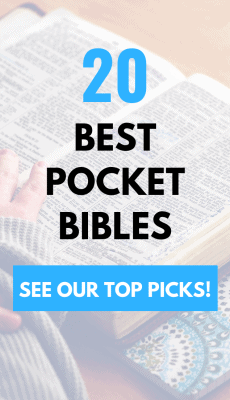 Whether you like plain Bibles or stylish Bibles, this list of the top pocket Bibles will be a great addition to your Bible collection. What is a Pocket Bible? The name really speaks for itself. A pocket size Bible is smaller and is intended to fit in your pocket or in your hand comfortably. There are all different types available. You can get a pocket Bible with the new and old testament or you can get one with just the new testament. There are also different styles of pocket Bibles or compact Bibles. My favorite Bible translation is NKJV but there are a few other great Bible translations as well. I’m excited to share the top pocket Bibles with you. I will be sharing pocket Bibles from the following translations. I decided to break these pocket Bibles and compact Bibles down by translation to make it easier for you. I’ve indicated my top pick and a few runner-ups for each translation. Quick Note: I’m an Amazon Prime member (and have been for the last 5 years) because I love shopping on Amazon. If you love Amazon and are not an Amazon Prime member, you should check out all the awesome Amazon Prime benefits that come with an Amazon Prime Membership. You can read more about the benefits and get a free Amazon Prime 30 day trial when you click on this Free Amazon Prime link. If you are a college student, you can get a free 6 month Amazon Prime membership for college students. This is our top pick NKJV pocket Bible because it’s got a great appearance, it’s compact in size and features large print. We also love the great price! This pocket Bible features the NKJV translation. It is easy-to-understand and features the majesty of God’s Word in contemporary English while still retaining the Truth of the original King James Version of the Holy Bible. ♥ We did find some runner ups just in case you want a different color or style of this NKJV pocket Bible. Check them out! This is our top pick KJV pocket Bible because it’s large print, it’s compact in size and is a red letter edition. We also love the great price! 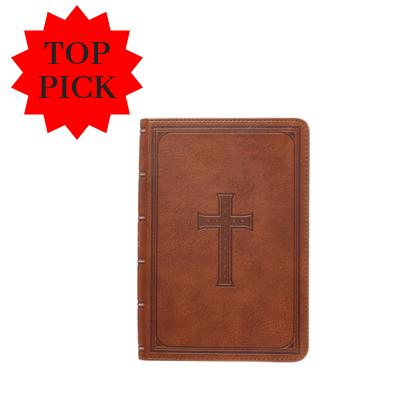 This compact Bible features a cross and border design with the look and feel of real leather (trade name LuxLeather). It has gold foil pressed titling and accents with gold gilt-edged pages. 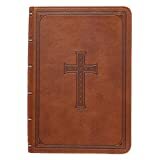 ♥ We did find some runner ups just in case you want a different color or style of this KJV pocket Bible. Check them out! 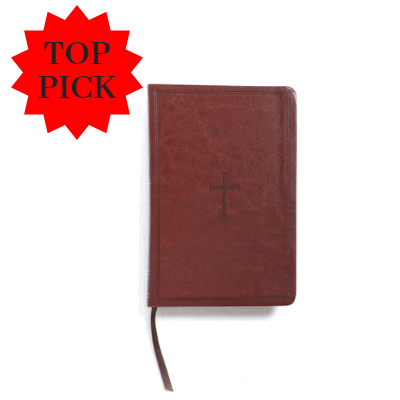 This is our top pick NLT pocket Bible because of its compact design and simple style. We also love the great price! This compact Bible makes it easy for readers to carry with them. It features the New Living Translation text plus 25 pages of Bible helps up front. ♥ We did find some runner ups just in case you want a different color or style of this NLT pocket Bible. Check them out! 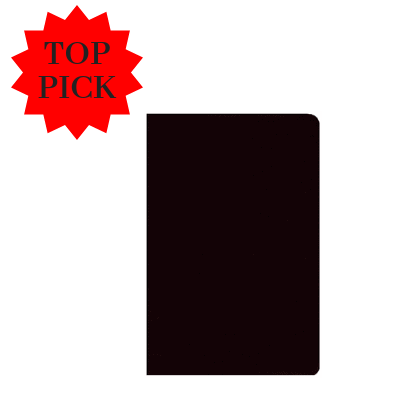 This is our top pick ESV pocket Bible because of its compact design and its large print. We also love the great price! This ESV compact Bible has the benefits of a compact design and easy to read text. This Bible features an 8-point typeset in a double-column format which gives the right balance between portability and usability. ♥ We did find some runner ups just in case you want a different color or style of this ESV pocket Bible. Check them out! This is our top pick NIV pocket Bible because of its compact design and large print. We also love the great price! This compact NIV Bible combines ease of reading with a handy compact size. The single-column text and easy on eyes type makes it perfect for a more comfortable Bible reading experience. ♥ We did find some runner ups just in case you want a different color or style of this NIV pocket Bible. Check them out! Hopefully, this is helpful to you! All these pocket Bibles have great reviews and have a great variety. Have you used any of these pocket Bibles? If so, I’d love to hear about your favorite one. Leave us a comment below to share your experience. We love hearing from our readers so we can provide the best products!